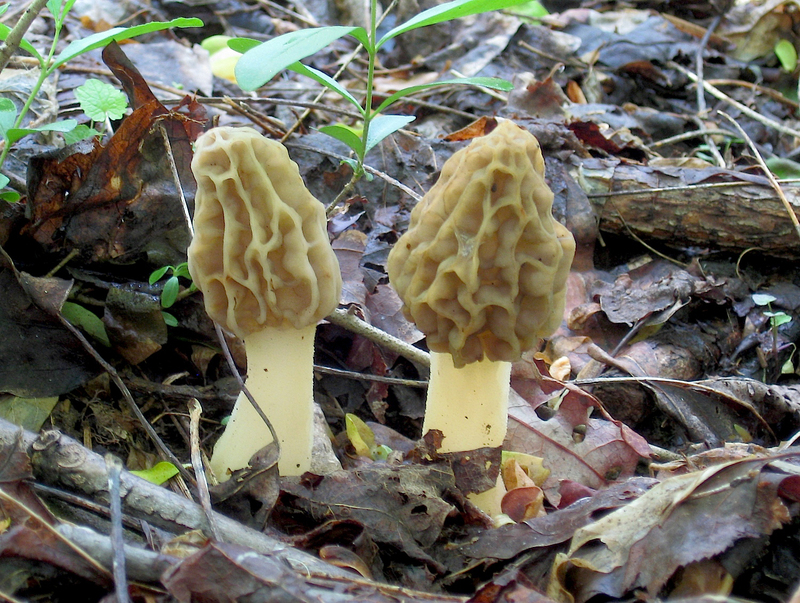 You are at:Home»Vegetables»Morel mushroom – Morchella spp. 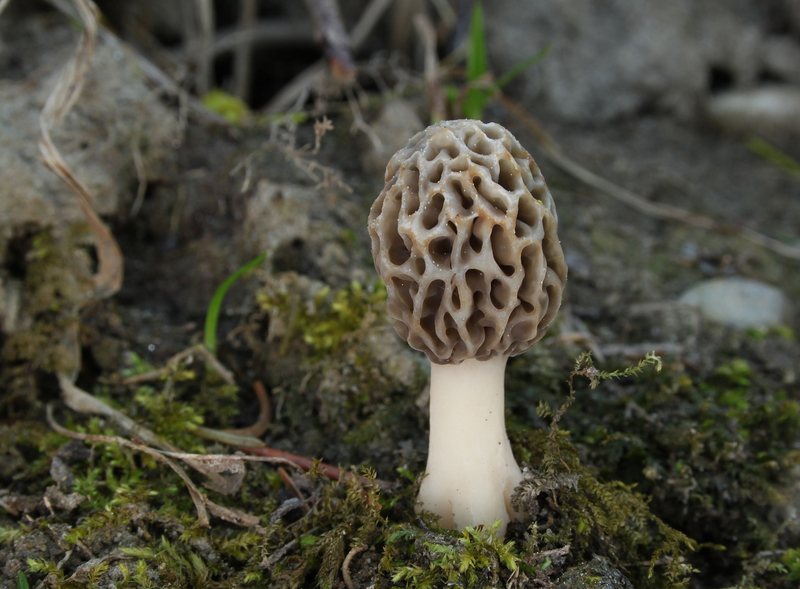 Morel mushroom – Morchella spp. Origin It is found all over the Northern Hemisphere especially in North America, Europe, Central America and Asia. Morel Mushroom (Morchella spp. 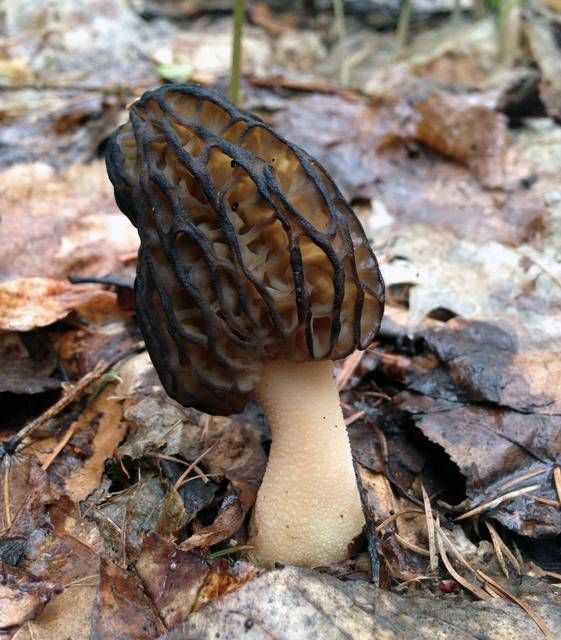 ), commonly known as Common morel, yellow morel, morel, morel mushroom, true morel, sponge morel and sponge mushroom, is an edible mushroom which belongs to the family Morchellaceae. It is found all over the Northern Hemisphere especially in North America, Europe, Central America and Asia. 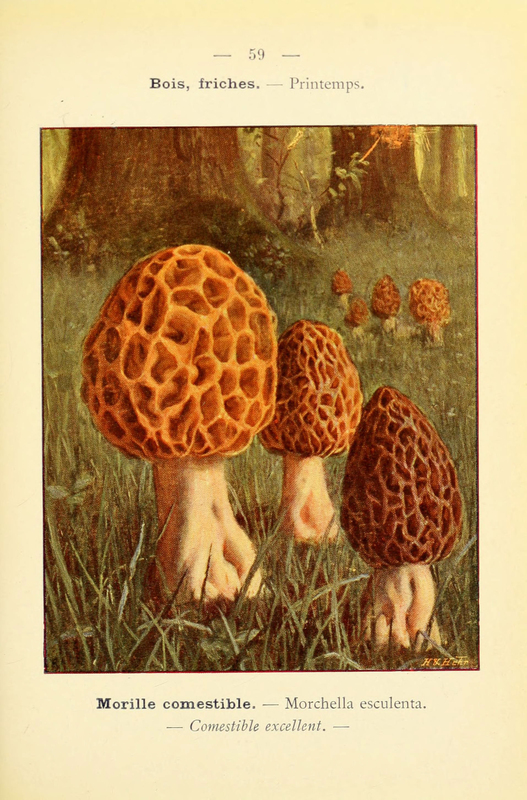 This mushroom naturally grows in the forested areas around dead apple trees, elm trees, under wood scraps, Sycamore and Ash trees. 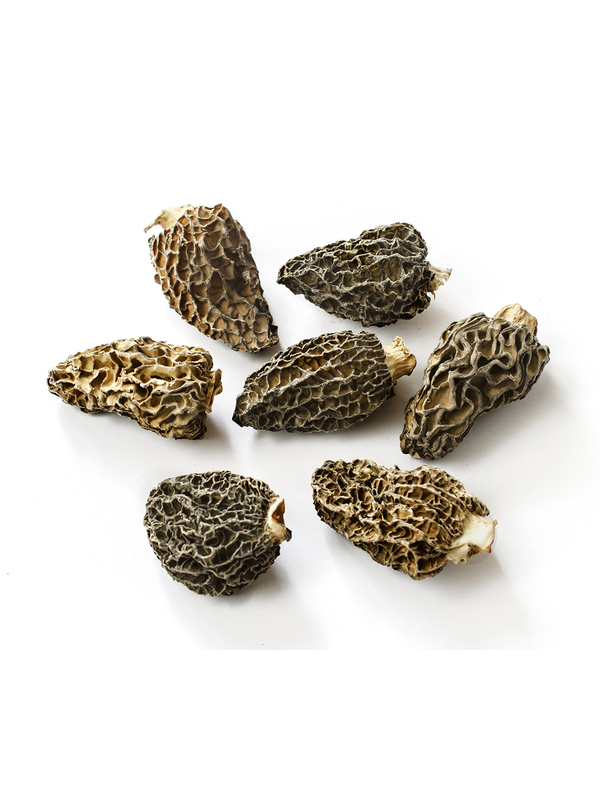 Black morels, Half-free morels and Yellow morels are the three varieties of Morels. Thousands of enthusiasts hunted morels for its excellent taste every spring and it is prized in the French cuisine by gourmet cooks. 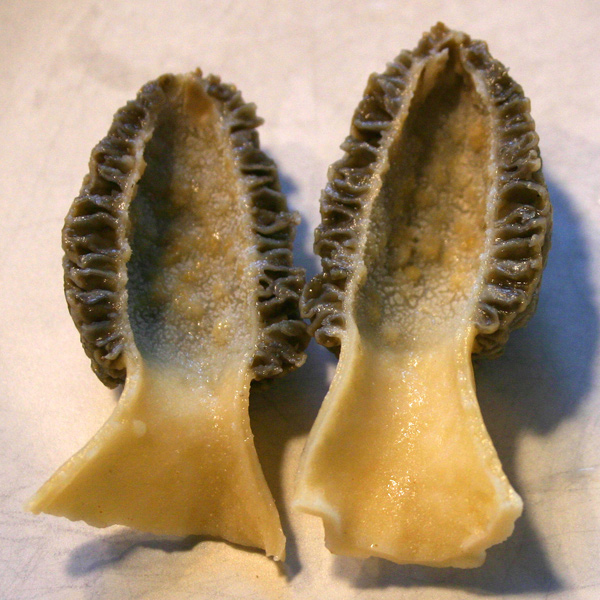 The commercial harvesting of wild morels took place due to the cultivation difficulties in the Turkey, India, North America, China and Pakistan which are found in great amount. The fruitbody has the appearance of honeycomb or sponge which grows up to 3-5 inches high. It is light tan, gray and black in color. The cap is rounded, subglobose – ovoid in cream, tan, gray-brown or black color measuring up to 1-4 inches (2.5-10 cm) high. It has got white flesh. The hollow stem is white and stout up to 2″ – 4″ long and ¾” – 1 5/8″ thick. It also possesses whitish to cream stalk. The spores are smooth, elliptical, deep cream-yellowish which are located in pits. This mushroom possesses earthy, nutty and steak flavor. Morel mushrooms are good source of iron and copper. 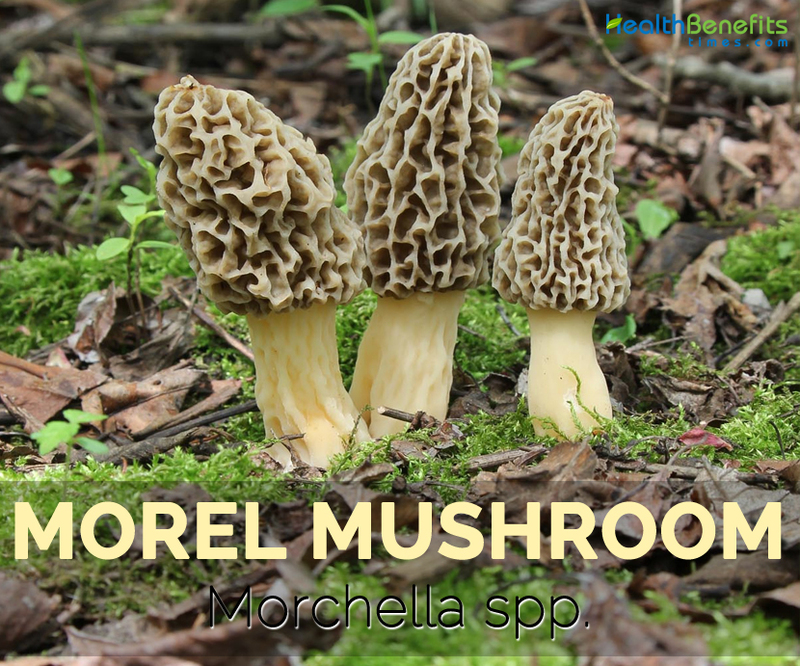 66 gram of Morel mushroom provides 8.041 mg of iron, 0.412 mg of copper, 3.4 µg of vitamin D, 128 mg of phosphorus, 0.387 mg of manganese, 1.34 mg of zinc and 0.315 mg of vitamin B5, 1.8 grams of total dietary fiber, 2.06 gram of protein, 13 mg magnesium and 0.38 total fats. It possesses Vitamin D and Vitamin B like other mushrooms. 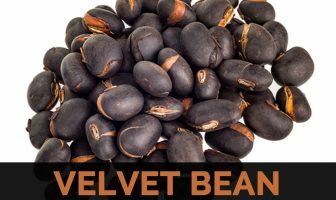 They are rich in nutrients such as protein, dietary fiber and minerals such as iron, copper, phosphorus, manganese, zinc and potassium. It possesses an antiviral, antioxidant, immunoregulatory and anti-tumour growth activity that helps to prevent the body from various health ailments. The anemia is caused due to the low level of hemoglobin and red blood cells due to which low level of oxygen reach to the cells. It leads to low energy levels, poor immunity and brain function. WHO has estimated that about half of the 1.62 billion anemia cases are caused due to the low level of iron and other are caused due to the genetic factors. Iron is essential for the brain function as it plays a vital role in carrying oxygen to the brain because 20 percent of oxygen is used by the brain in the body. The deficiency of iron can affect the mental functions and memory as well. The child with iron deficiency may cause cognitive abnormalities and psychomotor that makes them difficult for learning. Copper provides anti-inflammatory activities that relieve stiffness and pain that are related with arthritis. It assist the muscular strength, repair connective tissue and lowers joint pain. There is a belief that the copper bracelets could reduce the painful symptoms of arthritis so the arthritis patients wear bracelets made of copper. Potassium, zinc, calcium and copper are essential for the proper functioning of thyroid activity and also prevent hyperthyroidism. The absence of one of these minerals can lead a person to suffer the thyroid. It leads to weight gain or loss, fatigue, appetite, change in body temperature etc. Vitamin D plays a vital role in the absorption of calcium which is essential to maintain bone health. The calcium level is maintained by the calcitriol and parathyroid hormone. Vitamin K helps to maintain the level of phosphorus in the blood. The deficiency of Vitamin D leads to the bone ailments such as rickets and osteomalacia. It also increases the risk of bone fractures, broken bones and osteoporosis. The deficiency of Vitamin D results to the mood disorders such as seasonal depression, depression, insomnia, anxiety and mood problems during PMS. The low presence of Vitamin D affects the estrogen and testosterone production and imbalances it. The adequate consumption of zinc lowers the infection and damage of liver. Zinc assist to clean the liver by eliminating wastes which helps to reduce the free radical damage and assist the absorption of nutrients. This helps to keep the liver ailments at bay. The deficiency of zinc is associated with the diarrheal diseases as well as digestive problems so the adequate consumption of foods rich in zinc helps to cure diarrhea and prophylaxis. It also enhances the immunity function so that it increases the ability of the body to counteract diseases. The deficiency of Vitamin B2 increases the risk of eye ailments such as keratoconus, cataracts and glaucoma. Vitamin B2 has the ability to prevent these eye disorders. Riboflavin drops are applied to treat the eye ailments such as glaucoma. Vitamin B3 can reduce the risk of cardiovascular disease in dyslipidemia patients. It reduces LDL cholesterol levels which increase the chances of having stroke, heart attack and other heart diseases. Vitamin B3 increases the HDL cholesterol levels and reduces triglycerides. It results to maintain the healthy heart by preventing the heart ailments. Calories 20 Kcal. Calories from Fat 3.42 Kcal.